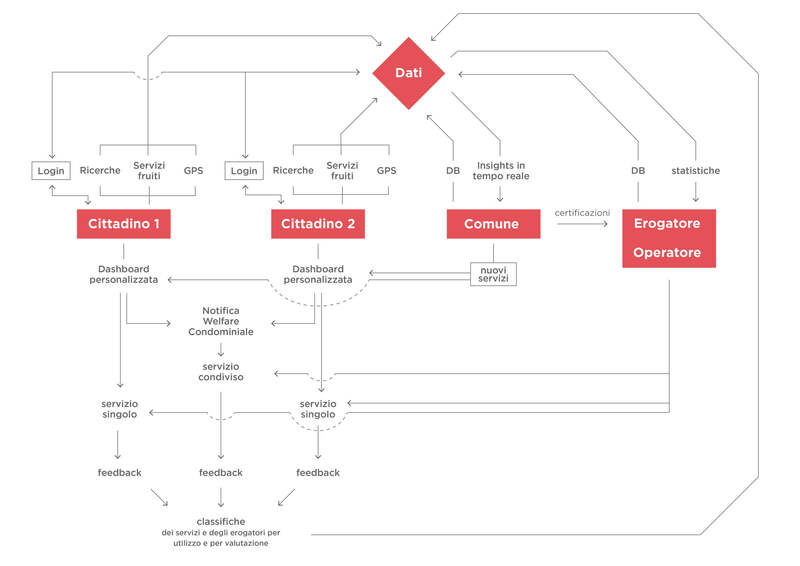 Diego is a prototype based on researches done for my MA degree at Politecnico di Milano. 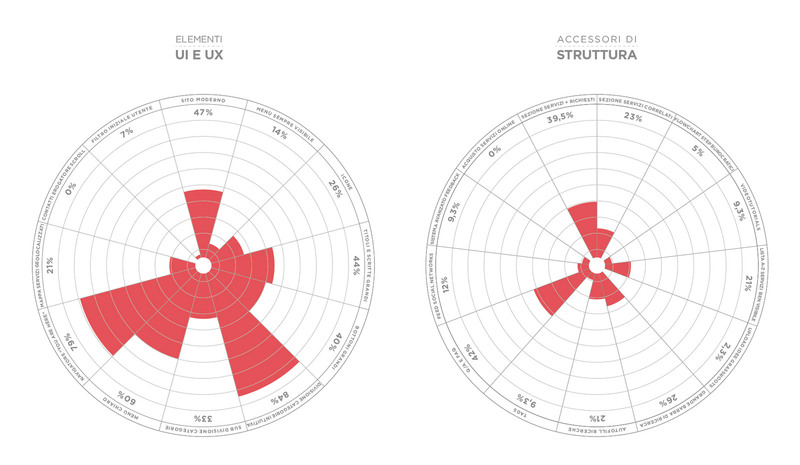 It explores the scenarios of usability and user-centered design rising from the new standards of data mining and UI/UX established by artificial intelligence machanisms such as machine learning. 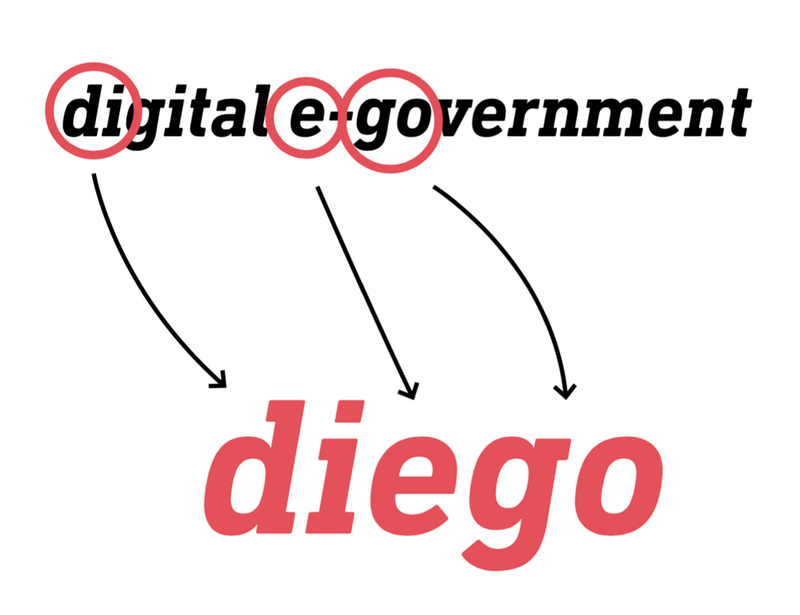 The Diego Project proposes a digital government system to enhance the efficiency of public administrative tasks and communication in the digital age of web-based services. 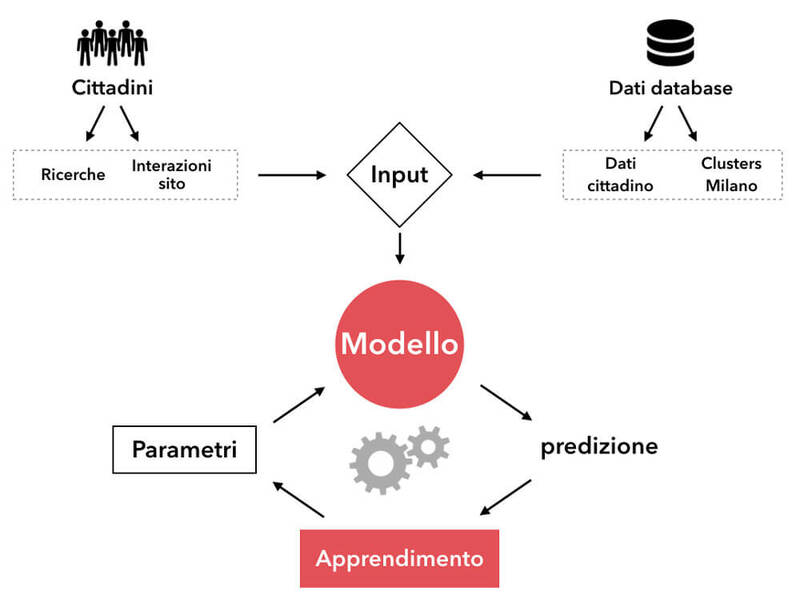 The Diego Project uses algorithmic equations for big data collection for the government. It combines content of public databases (civil registry, the NHS, and financial records) with that collected from active users searching online. The aim is to achieve accurate profiling of citizens so that tailored services are offered to specific segments of the population. Following preliminary research, several urban areas have been mapped to take advantage of these data acquiring opportunities. 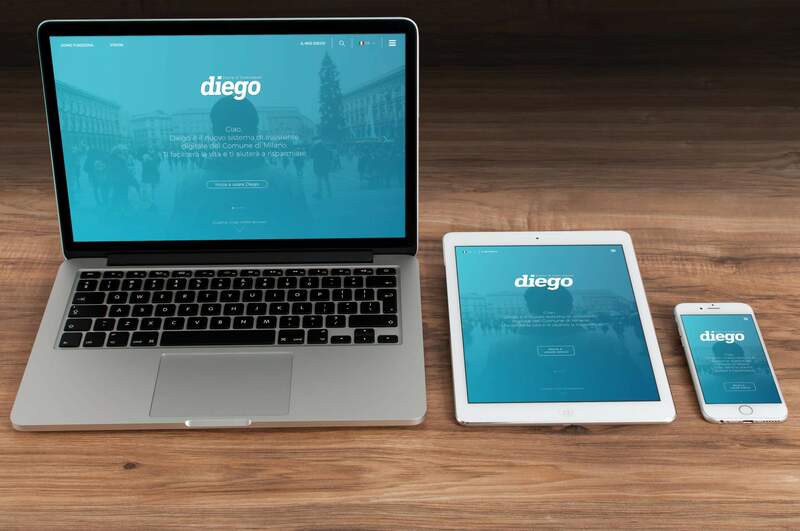 The Diego project’s website allows citizens to access institutional tasks and to directly communicate with local administrators. 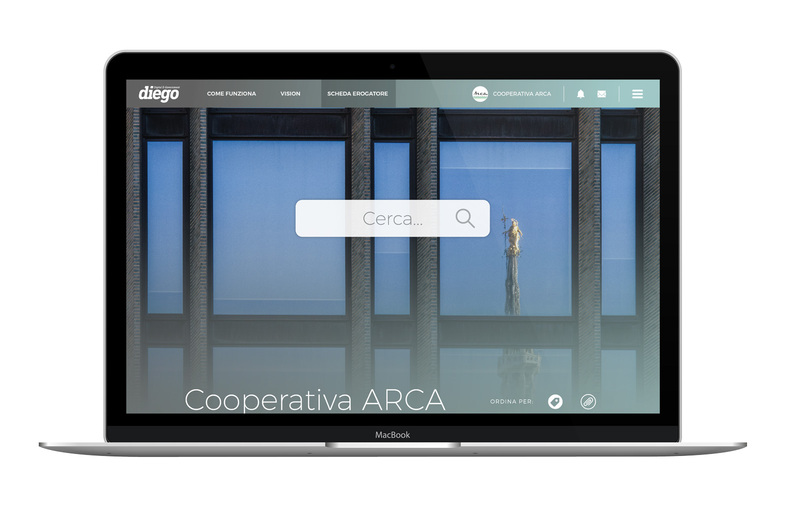 Through this portal, service suppliers and social services can login to a control panel to manage services and jobs and act as a point of contact between citizens, municipalities, and service providers. 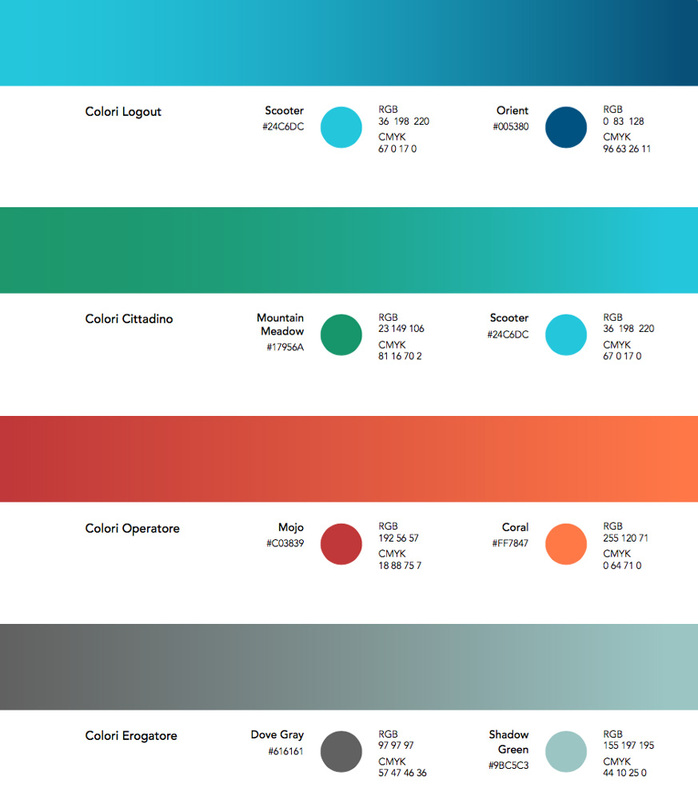 There are several directions this project could take in order to get bigger and more data comprehensive. 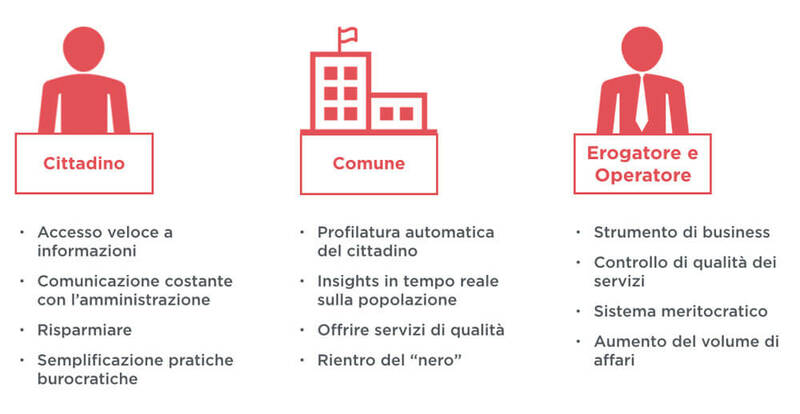 Firstly, the more the system is being used, the better it gets in predicting needs for the citizens. In this perspective, it will never get obsolete. Secondly, an unexplored possibility is the one of the mobile usage of the system. Through mobile devices the system could provide a real-time bucket of welfare services for a instant answer to the needs of every single citizen.